John J. Heffernan, O.F.M. was born in Buffalo, NY in 1951. One of five children, he attended Canisius High School in Buffalo, and later, Holy Cross College. In pursuit of a health career in dentistry, John attended SUNY at Buffalo Dental School. Before considering religious vocation, John did a two year general practice residency in Charlottesville, VA and then two years in a private dental practice in Western New York. 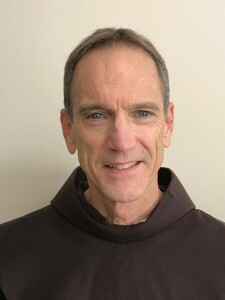 But soon, John entered a diocesan seminary in 1981 at the age of 30, where he recognized that the life of a Franciscan friar would be an excellent fit. After postulancy and novitiate, John completed theological studies in 1987 at the Washington Theological Union and was ordained a priest in 1989. His first assignment as a friar was on Long Beach Island, NJ. There, amidst various pastoral responsibilities, John found himself in an era and place with great need for practitioners to offer dental care for persons living with AIDS. He worked with the University of Medicine and Dentistry of New Jersey for three years in a dental outreach program in Camden, NJ. In 1994, the need for Catholic ministers among the growing Hispanic community spurred John to study Spanish in Santo Domingo for two summers while ministering in the Bronx, NY. This initiative was extremely helpful to prepare John for the next six years of ministry at Immaculate Conception parish in Durham. A rapidly growing Hispanic community. Subsequent assignments include two years as pastor of Saint Paul Parish, in Wilmington, Delaware before preparing to live in our foreign mission community in Peru. There, along with pastoral ministry, John developed a program of dental outreach in various sites in both the pueblos jovenes outside of Lima, as well as in numerous sites in Peru’s central jungle. On returning to the United States, John spent nine years between an exburban parish in Triangle, VA and Holy Name College in Silver Spring, MD. In these years John again offered a split pastoral ministry, serving both in the parish and Walter Reed Military Hospital, as well as an offering of dental care at clinics for poor, rural area patients. With the Peruvian experience of caring for patients in remote areas, John found the desire to continue this work, but in southern Mexico. John has made 15 multi-week trips to Chiapas, Mexico where he is supported by the local Franciscan friars who have been generous brothers. Coming to New York City has been a great source of happiness. John is principally offering the Spanish liturgies and visiting people unable to come to weekly mass. It is an opportunity to do a lot of walking and know the neighborhood very well.